The Mermaid, a beautiful girl to her waist, but a fish from the waist down, has always been a favorite creature of legend and romance. The Mermaid, a beautiful girl to her waist, but a fish from the waist down, has always been a favorite creature of legend and romance. There has never been a time or place in nautical history in which mariners have not told of Mermaids and Mermen they encountered. 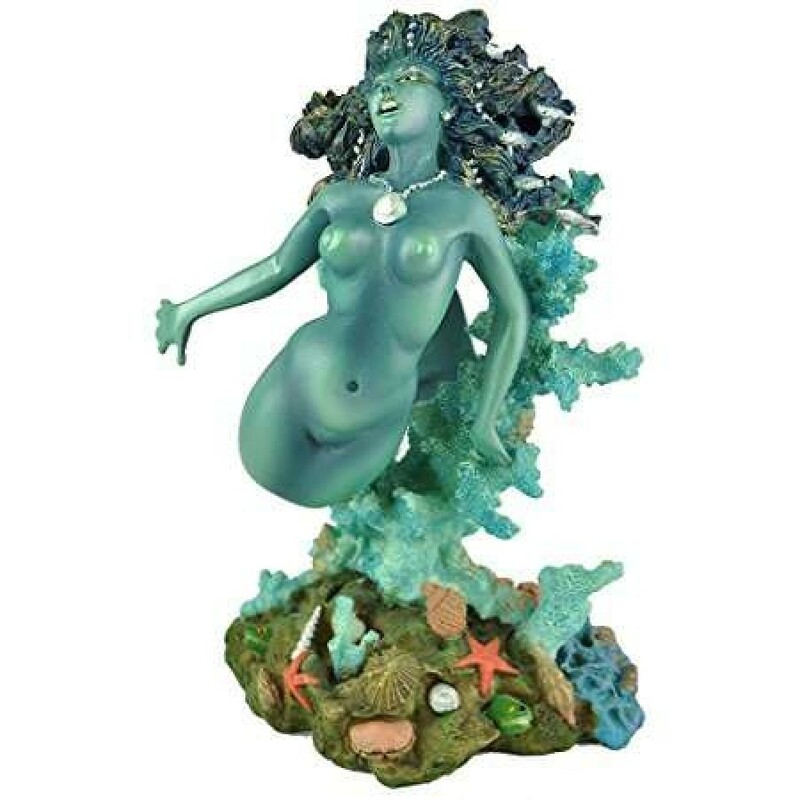 The folklore of Mer-people is ancient and widespread, crossing cultures, continents and centuries. 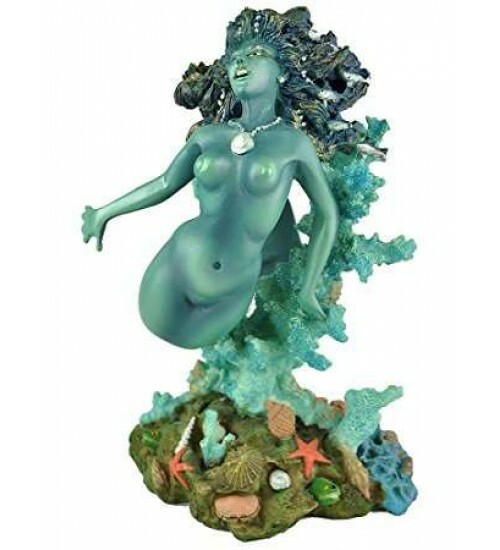 They have been called by diverse names-Sirens, Silkies, Tritons, Undines, Melusines, Morgans, Korrigans, Lorelei, Rusulki, Nixies, Nereids, Naiads and Ningyos. Some gods and goddesses of the ancient world appeared in the form of mer-folk. The Babylonian god Oannes and the Philistine god Dagon were both depicted with the tail of a fish. 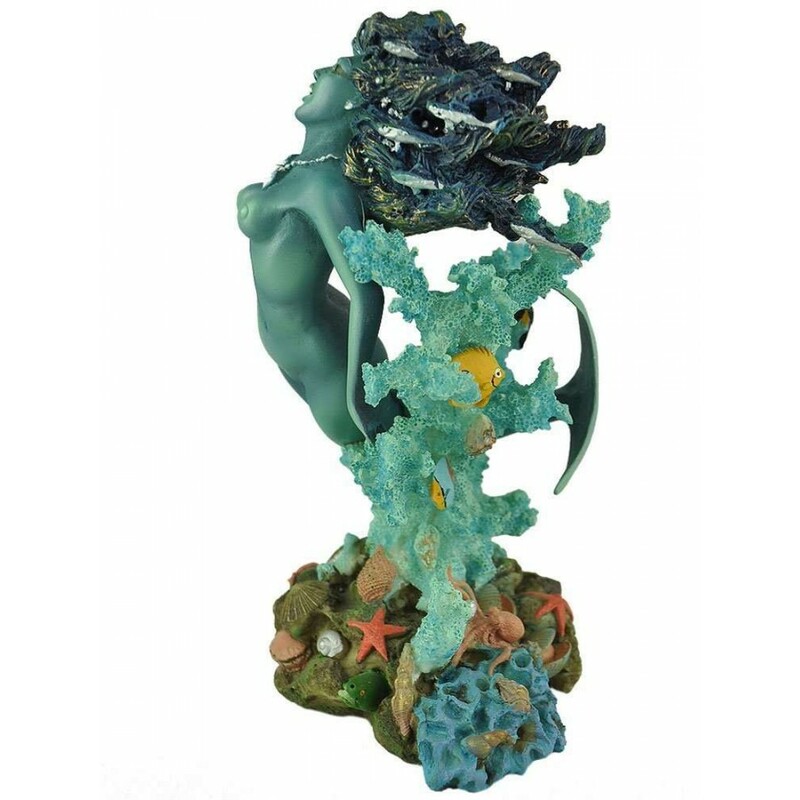 Oannes' fish-tailed feminine counterpart, the Moon goddess Atargatis or Derceto, was the earliest Mermaid deity. She was the predecessor of the Greek love goddess Aphrodite, who arose from the foam in a seaborne scallop shell. 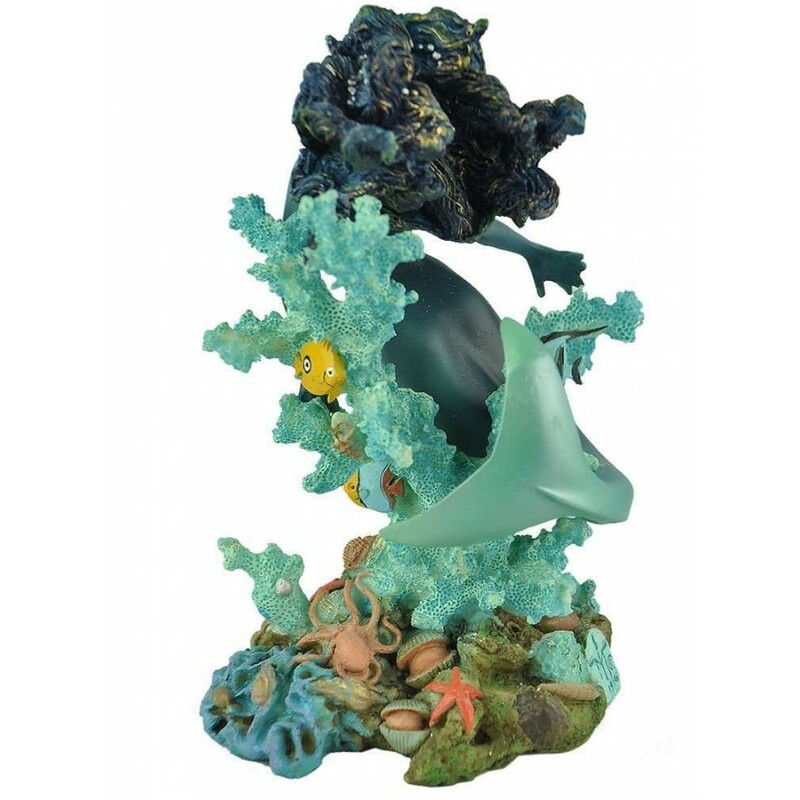 This lovely statue by artist Oberon Zell is cast in resin then hand finished. She is 7 3/4 inches tall. Wood base shown is not included. 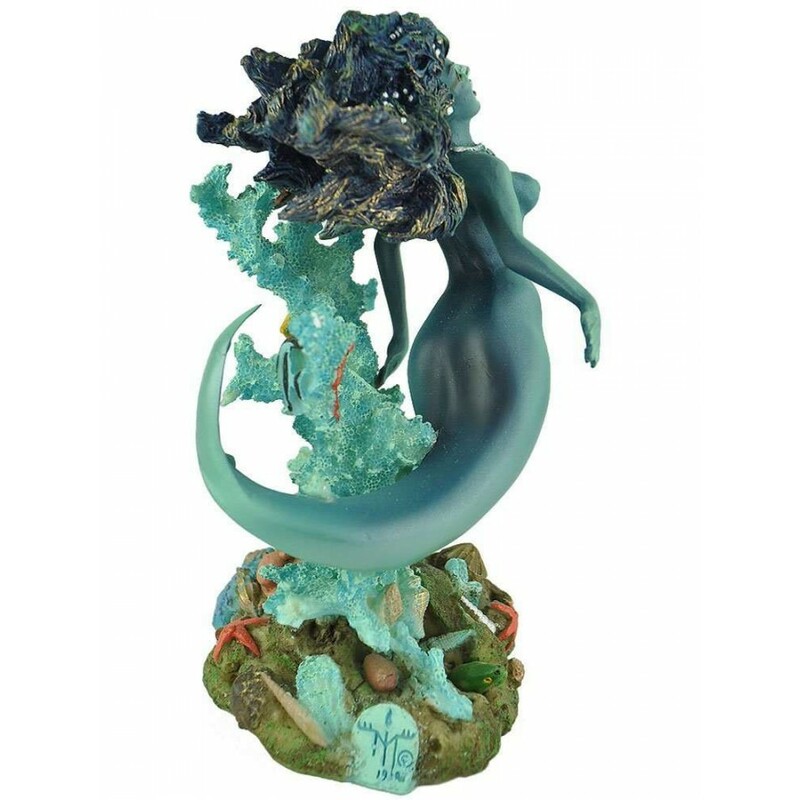 Item Number: MT-MERMAID | Approximate Size (Inches): 5.00 wide x 5.00 deep x 7.75 high | Approximate Shipping Weight: 3.00 lbs.